How can I invest in property loans? 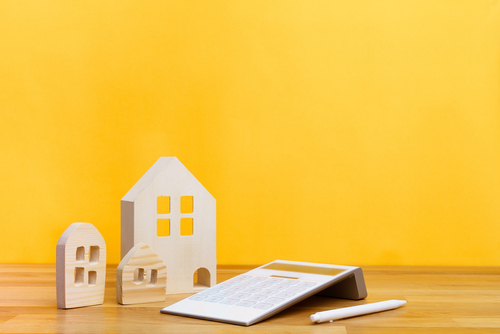 There are obviously many ways to invest your money, and in this blog we explore the concept of lending against property for a fixed return.ie a property loan. Here, you (an investor) loan your money against a property to receive a pre-agreed income. At a basic level this is a ‘grown-up’ IOU, where you serve as the bank using property as surety against the loan. By loaning your money you agree both an investment period and terms including the frequency of interest payments (this can be regularly or rolled up into a final payment). This is a quick way for organisations to fund projects; a company may want to finance a new property development and will turn to investors to raise that money through the form of a bond, loan note or agreement (all variations on the same theme). The great thing about debt is that it provides a defined income (compared to buying a house or investing in shares), if you look at the stock market for example, your shares are affected by both the company’s performance, but also the performance of the market in general and a number of other factors out of your control. Loans pay a pre-agreed return, this return is obviously affected by the borrower’s ability to pay. The more risky the borrower’s track record the higher the return you can expect. Companies or individuals providing security (i.e. property assets) against a loan or those who have a good track record will pay less than a smaller business whose ‘credit-worthiness’ is difficult to appraise. This is why backing your loan with property is a good idea, it reduces the risk that your investment won’t be returned. Either the borrower pays, or the property is sold in lieu of payment to return your money. It is important to understand the security held against a loan. Some loans are unsecured (e.g P2P loans). Lending against property means you can use the asset as security against money lent. Your money will be secured by something called a first or second charge (recorded at the land registry) against the property, which means you can sell the property in the event of non-payment. If a property has two charges, the first will always be paid before the second, so it is important that you understand the type of charge, the value of outstanding debt and the value of the property. The value of monies lent against the property is known as the loan to value ratio (LTV). It is important that investors understand the difference between the LTV and the Gross Development Value (GDV). If you calculate the ratio against the GDV, (the end value of the asset e.g. the completed property development), you may have a mis-leading picture of the risks you have undertaken. When lending money, investors should consider the period of the investment loan, this will then help you plan for the investment term and understand whether the risk and return profiles make sense financially. Interest rates have a very large effect on debt investments, once invested you will want to measure your investment relative to the current interest rates levels (and presumably what you could receive from your savings account). In times of uncertainty (Brexit anyone?! ), these investments provide a stable income over a defined period of time, this means that they are traditionally less volatile (delivering a steadier income), than buying stocks and shares. Lending is the ultimate arm-chair investment, running costs such as repairs, maintenance costs and ground fees that you would associate with property investments are non-existent. Just sit back, relax and wait to get paid! What’s more if you are lending through a manager, in the event of non-payment, they will secure payment from the borrower or against the property.